Sanda (散打), also known as Sanshou (散手), is a full contact fighting system and combat sport developed from Chinese martial arts. Although the term is traditionally used to refer to any form of free-fighting in Chinese martial arts, the term today more commonly refers to the modern combat sport. Both terms, Sanshou and Sanda, are interchangeable. Originally the term ‘Sanshou’ (free-hand) was used as a euphemism for the violent sport and gained popularity throughout the world. In recent years there has been a push by the governing bodies to officially adopt the term ‘Sanda’ (free-fighting) which is more familiar in China. Sanshou is not seen as a style itself, but rather is considered as just one of the two components of Chinese martial arts training and is often taught alongsidetaolu (forms) training. However, as part of the development of sport wushu by the Chinese government, a standard curriculum for sanshou was developed. It is to this standard curriculum that the term Sanshou is usually applied. This curriculum was developed with reference to traditional Chinese martial arts. 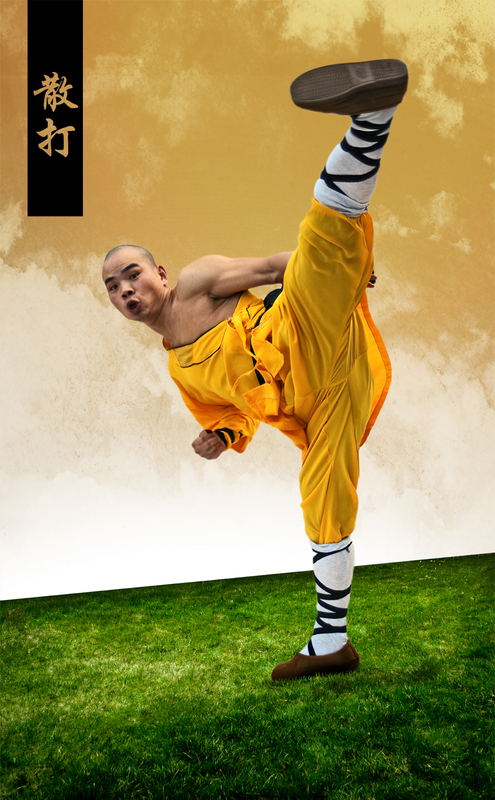 This general Sanshou curriculum varies in its different forms, as the Chinese government developed a version for civilians for self-defense and as a sport.